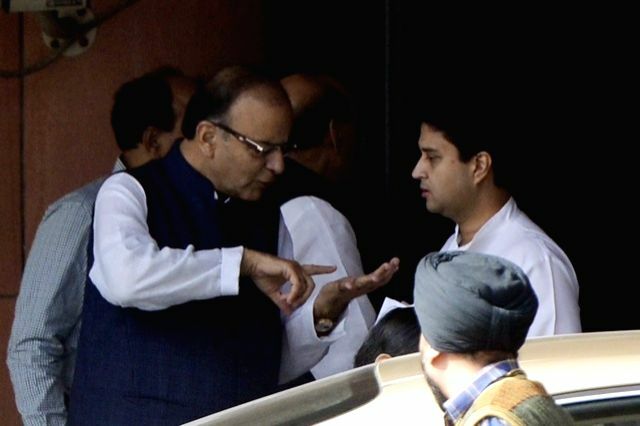 New Delhi: Union Minister for Finance, Corporate Affairs, and Information and Broadcasting Arun Jaitley with Jyotiraditya Scindia after the all party meeting on Nov 25, 2015. 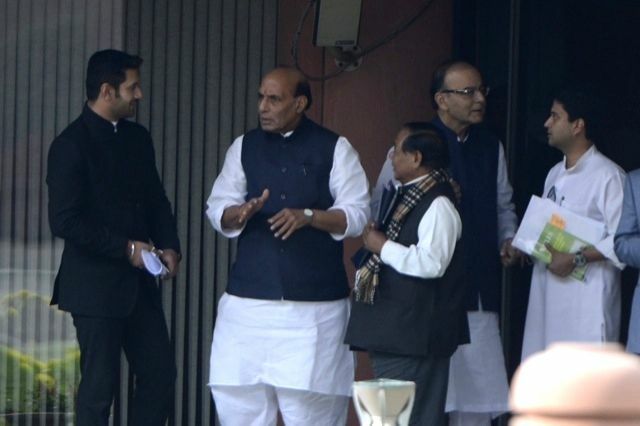 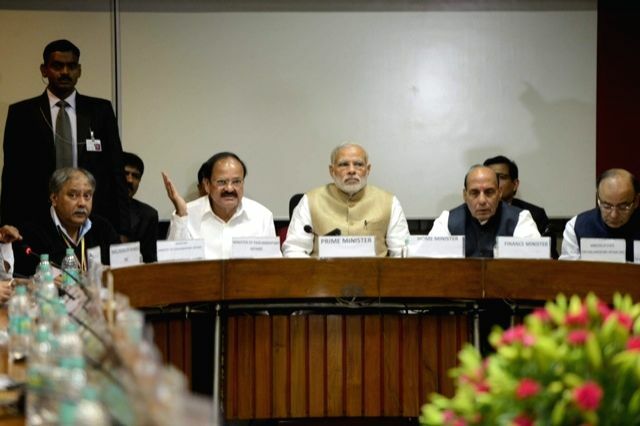 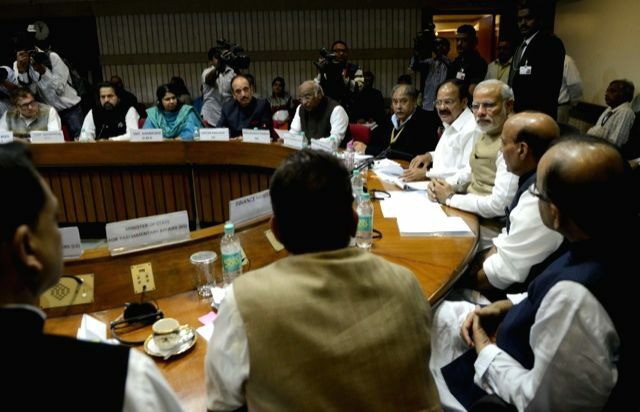 Union Home Minister Rajnath Singh, Union Minister for Finance, Corporate Affairs, and Information and Broadcasting Arun Jaitley and MPs Chirag Paswan and Jyotiraditya Scindia after the all party meeting on Nov 25, 2015. 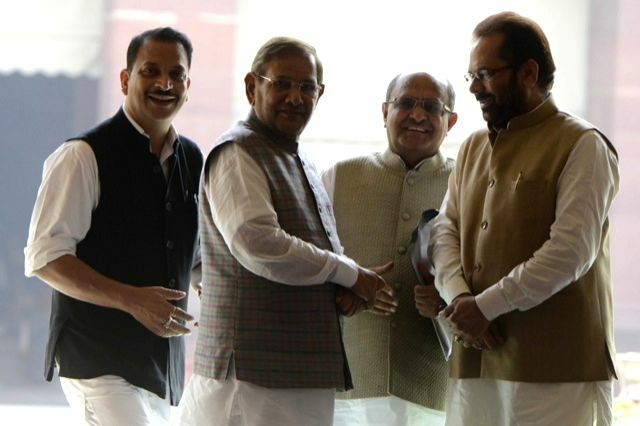 Union Ministers Rajiv Pratap Rudy and Mukhtar Abbas Naqvi with JD(U) chief Sharad Yadav and party GS KC Tyagi after the all party meeting on Nov 25, 2015.